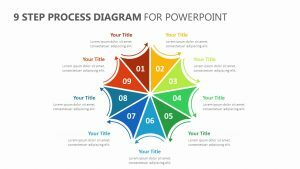 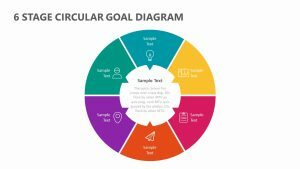 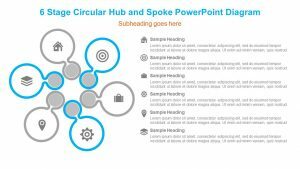 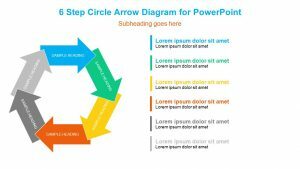 12-Step Circular Diagram for PowerPoint. 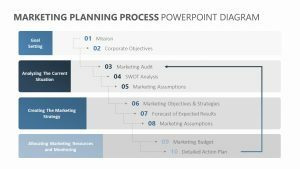 int is a way for you to detail the different steps in your plan. 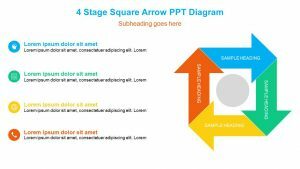 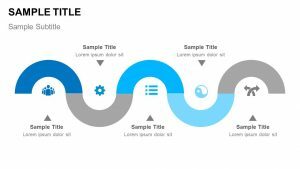 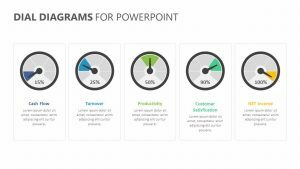 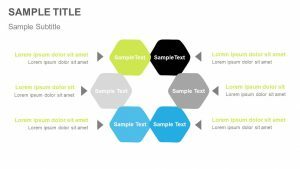 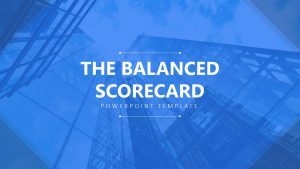 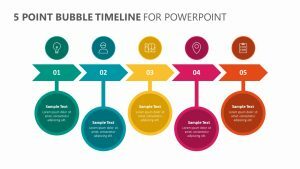 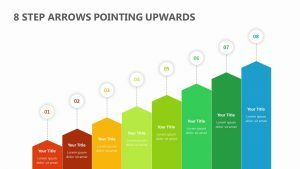 It offers a space for 12 different processes to be determined, processes which might otherwise seem difficult to understand when not laid out clearly like this PowerPoint template allows. 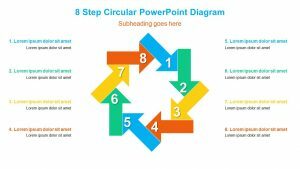 All of the 12 steps are labeled so that you can input the name of each step, and they are all found within circles that connect to one another to show how they connect to the central goal which can be found in the center. 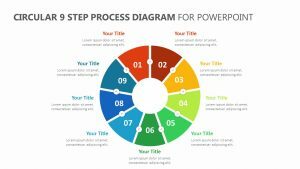 There are text blurbs associated with each step at the right.